Emmer, II, Thomas Earl "Tom"
Municipal Government: Delano, Maple Plain, Loretto, and Surrounding Communities (Volunteer Fire Department); 20?? to 20?? He was raised in Edina, Minnesota. He moved to Independence, Minnesota around 1988. He moved to Delano, Minnesota around 2002. He played hockey for Boston College, the University of Alaska at Fairbanks, and the United States Hockey League. He ran unsuccessfully as the Republican Party endorsed candidate for Minnesota Governor in the 2010 election. The race was subject to an automatic recount. 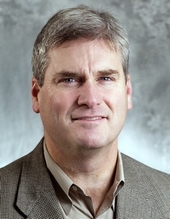 Religion provided by the Emmer for Governor website. Leadership Notes: He resigned as Deputy Minority Leader in July 2008. Hegarty, Sue. "One More Goal in His Playbook: Emmer Leaving House in Hopes of Scoring the State's Top Job." Session Weekly, St. Paul: Minnesota House of Representatives Information Office, June 1, 2010, p. 39. Martin, Brett. 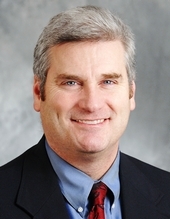 "A Call to Public Service: Emmer Takes Time to Know the People and the Process." Session Weekly, St. Paul: Minnesota House of Representatives Information Office, February 25, 2005, p. 18. The Minnesota Legislative Reference Library has collected newspaper articles on legislators since 1973. They are available in the Library.